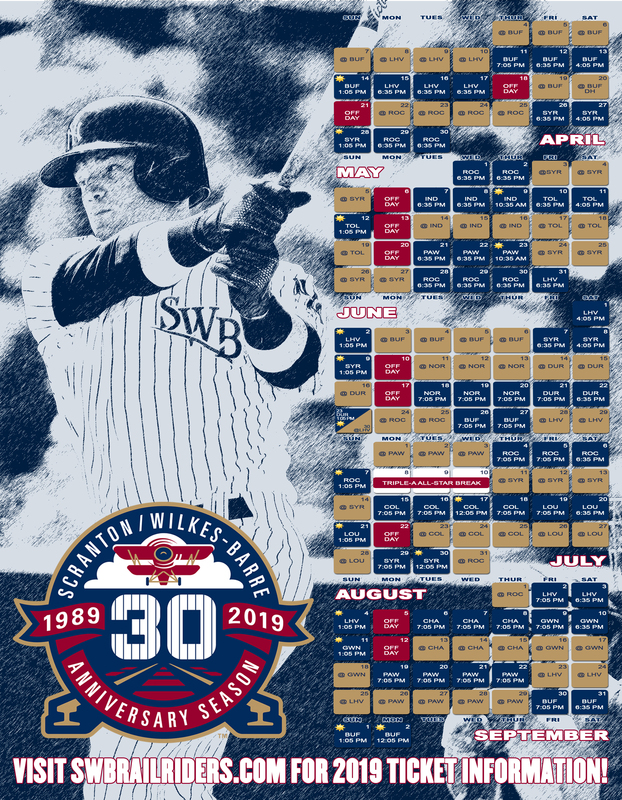 Moosic, Pa. - It's the most wonderful time of the year…for Scranton/Wilkes-Barre RailRiders (Triple-A/New York Yankees) fans that is. On Saturday, Dec. 13 from 9 a.m.-11 a.m., the big man himself, Santa Claus, and several of his friends will be on hand in the Mohegan Sun Club at PNC Field for breakfast and more. The full breakfast features scrambled eggs, mini-pancakes, home fries, ham, sausage, juice and coffee. The accent sure to excite - a hot chocolate bar with all the fixins kids can add including sprinkles, marshmallows, candy canes, whipped cream and chocolate syrup. There will be activities for the little ones as well with craft tables sporting: reindeer puppets, candy cane reindeer ornaments, Christmas cookie decoration and Christmas cards for veterans. Every guest will also be eligible for three different baseball-related prize giveaways on a raffle basis during the breakfast. One lucky guest will receive a grand prize giveaway of four tickets to Opening Day 2015. Santa and the RailRiders' mascots will be available for pictures along with the chance for a Christmas family photo in the RailRiders clubhouse. The Marines will be on hand as well to accept new, unwrapped Toys for Tots donations. The first 100 people to donate toys will receive a RailRiders baseball. The team store, SWB Station, will have gear available for your holiday needs. Tickets for the event are on sale now in advance at the PNC Field box office (open Monday-Friday from 9 a.m.-5 p.m.), or the day of the event. All payments will be run through the box office and guests shall receive tickets that must be presented at the door to gain entrance to the breakfast. The ticket prices are $12.00 for adults and $6.00 for kids 3-12. Children that are 2 and under will be allowed in at no charge.